Sunny has been in the façade industry for nearly 15 years and he has taken leading project management and technical roles for a long list of landmark developments in the area. 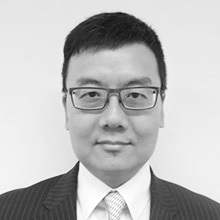 He has worked in the façade consultancy sector for over 10 years and before joining Meinhardt, he was a Senior Project Manager of a leading property developer in the region managing a prestigious mixed used residential/ commercial development in Hong Kong. He is one ofthe few in the industry who has work experience with property developer, consultancy and contractor and he has gained in-depth understanding to the operation and needs of allrelevant stakeholders of a building façade project. At Meinhardt, Sunny is the project leader of a number of iconic building façade projects. Structural engineering of aluminum, glass, steel and tension structures. Glass curtain wall and cladding system design and engineering. Metal and stone cladding design and engineering. Project management on façade and property development projects.